IFT won the contract with Barr Construction to install the resin flooring at the Aberdeen Sports Village. This is a £28m state-of-the-art facility which will provide sporting amenities previously unavailable in the North-east of Scotland. 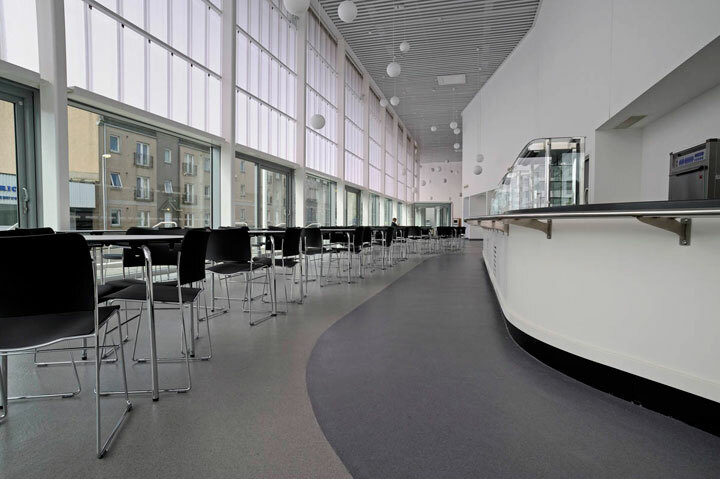 The resin system was chosen in place of vinyl flooring due to its speed of application and hard wearing, seamless and aesthetic properties. Also of importance was the fact that it could be used in all of the buildings environments. 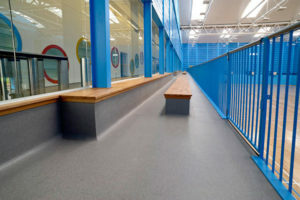 A particular attraction was that it could be applied directly to the concrete slab as it has in-built moisture tolerant primers which meant it could be applied directly to concrete which still has a relative humidity above 75% RH. 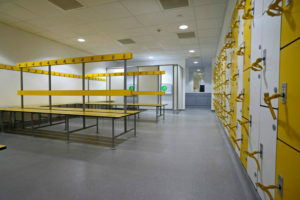 The floor area extended to more than 2,600sqm over three levels and incorporated everything from long, wide stretches of hallway down to individual changing rooms. A particular challenge was the installation of over 1,700m of seamless coving at a height of 150mm to tie in with the floor system. A true sign of the craftsmanship provided was the coving installed to 450mm in the seating areas! 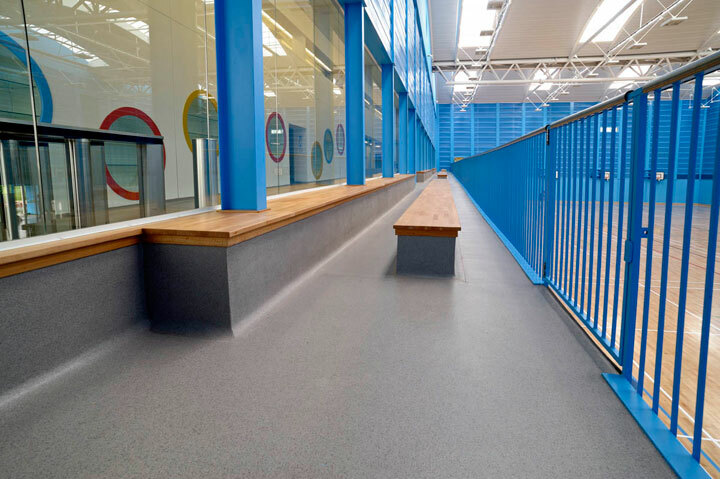 As always site conditions and ever tightening project timescales put exceptional demands on our Contracts Managers and resin floor layers but these were met head on with true professionalism. 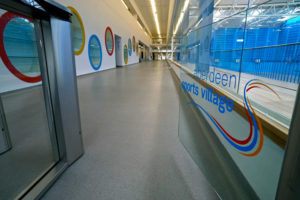 IFT recently completed the resin flooring works at our prestigious Aberdeen Sports Village project. The works were carried out professionally and to a very high standard.